The Real Club Tenis Barcelona hosts another edition of the Conde de Godó Trophy, one of the most representative competitions of Spanish tennis. If you are looking for cheap tickets not to miss your favourite tennis players live , check out our online offers and discounts. To experience all the excitement of tennis, there's nothing like going to a live match. The atmosphere generated in this tournament delights the public of Barcelona. This tournament started in 1953, and since then has become a reference point for our tennis . Therefore, tickets usually fly and it is not easy to find them at low prices, but on our website we offer you real bargains. Choose your seat and you will see clearly how much it will cost you. We don't want to deceive you with the price or the place, so you can buy your ticket online without being afraid of anything. In addition, the payment gateway is 100% secure, so they are all advantages. What are you waiting for to buy your ticket for the Godó? This sport looks good on TV, but there's nothing like the thrill of tennis live. The silence during the points culminates in a burst of joy and admiration when a big point is played or the local idol wins. In that sense, the favorite of the fans is clearly Rafa Nadal, who has been champion of the tournament countless times. This competition takes place on the clay court of the Real Club Tenis Barcelona, a surface that benefits the characteristics of the great majority of Spanish tennis players. In addition, the enclosure is perfectly enabled so that the fans enjoy to the maximum, so much of the parties as of everything that surrounds to a social event of such magnitudes. Without a doubt, a good opportunity to rub shoulders with Barcelona's elites, who always take advantage of this moment to let themselves be seen. Barcelona is the perfect city to hold a tennis tournament of these characteristics, as it not only hosts this kind of competitions but also has a wide range of leisure both day and night. For this reason, people who live outside can travel to watch a tennis match and take advantage of tourism or enjoy the variety of night activities of the Ciudad Contal. In addition, the wide range of accommodation possibilities is a plus for coming to the Godó from other cities. Enjoy the Count of Godó Trophy live with tickets at the best price. 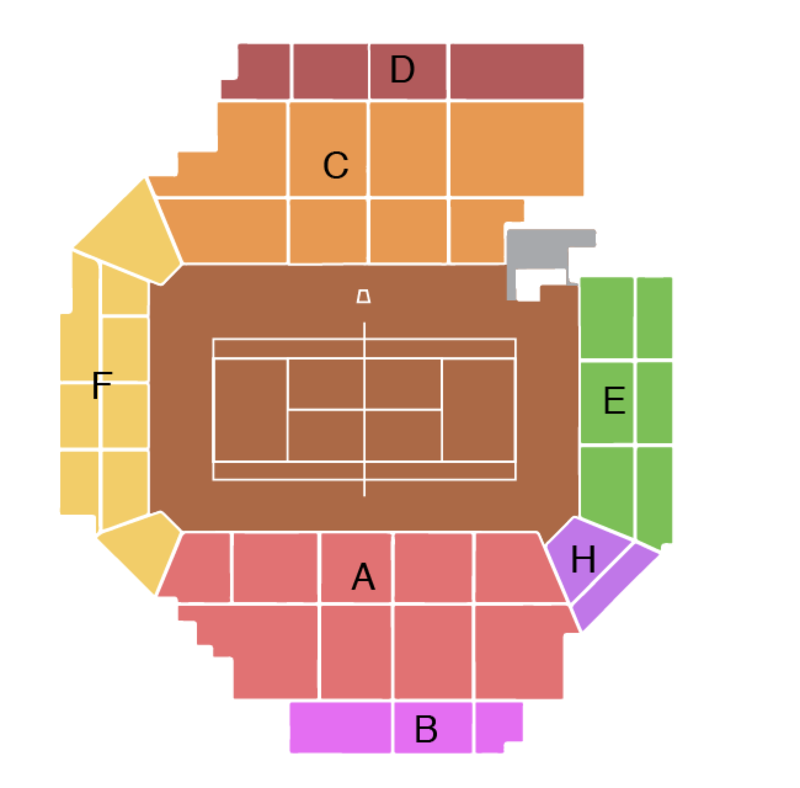 Buy online by choosing your seat in the stands of the Real Club Tenis Barcelona and get ready to admire some of the best players on the professional circuit. This tournament has a lot of tradition and history within Spanish and European tennis, and in it we have seen authentic exhibitions. Don't think twice and reserve your place for the first and second round of the Godó. You won't regret it!